Plymouth Meeting, PA | February 26, 2017 Offit Kurman is pleased to announce that Charles "Max" A. McCauley, III has joined the firm’s suburban Philadelphia office, as a principal-level attorney. Mr. McCauley is one of several lawyers to affiliate their practices with Offit Kurman in February, and one of the first eight lawyers to join the firm’s Philadelphia suburbs office, which opened last year. Mr. McCauley's colleagues in the region include a growing team of attorneys with experience in legal service areas such as real estate law, commercial litigation, business transactions, and construction law. Mr. McCauley will also spend time in Offit Kurman's Wilmington DE office representing his Delaware clients. Mr. McCauley is an attorney with extensive business experience. His practice has involved corporate, banking, real estate, employment, tax, litigation, and bankruptcy matters. 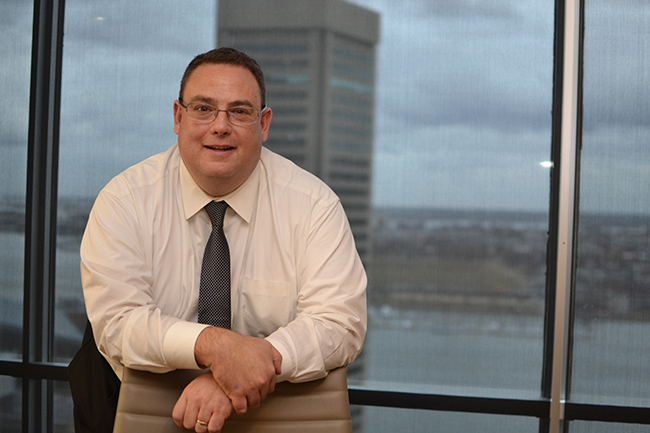 He also advises clients on electronic discovery issues and is the former co-chair of the E-Discovery and Technology Law Section of the Delaware State Bar Association. Although he focuses his practice in all areas of business law, he also calls upon his significant business education and extensive experience garnered while managing his family's business and serving as general counsel. This blend of experience uniquely qualifies him to provide steadfast counsel to businesses on all legal issues they face. Prior to joining the firm, Mr. McCauley practiced at a Delaware law firm, where he focused on litigation and advisory matters relating to Delaware corporations and alternative entities, including counseling corporations and other entities and their directors and members on corporate governance and fiduciary duties, mergers and acquisitions, poison pills, appraisal cases, books and records demands, stock option grants, tax matters, and trust litigation. He has also served as general counsel for a multinational group of nine businesses spanning the healthcare, information technology, manufacturing, and international industries with hundreds of employees in numerous countries and offices in King of Prussia and Shanghai. "Offit Kurman is very pleased that Max is joining the growing team in the Philadelphia suburbs. His unique experience is a great fit for the firm and the Plymouth Meeting and Wilmington offices" said Timothy Lynch, Managing Partner. To learn more about Max McCauley and to get in touch with him, please visit his attorney page. More information about Offit Kurman’s comprehensive legal services can be found here. For details and directions to Offit Kurman’s suburban Philadelphia office, click here.